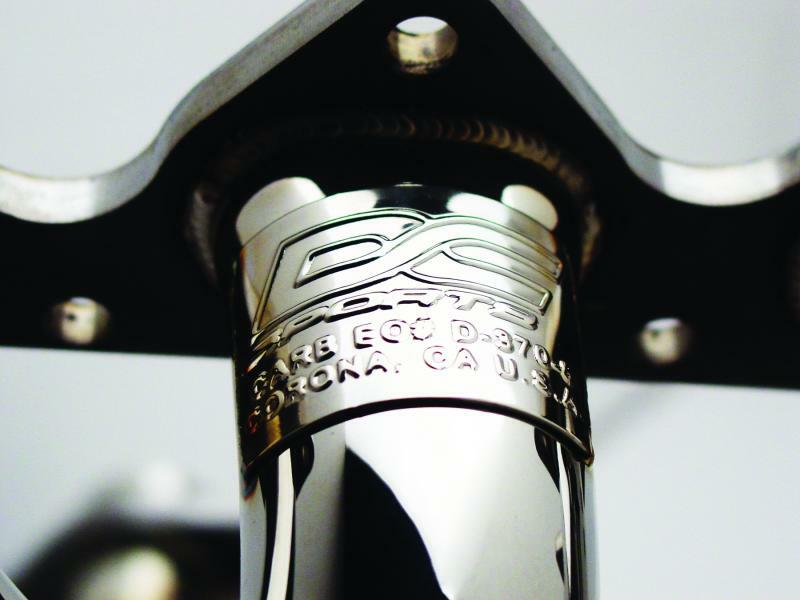 DC Sports header systems are precision-bent on our CNC mandrel benders using data acquired from our non-contact digitizing scanner. 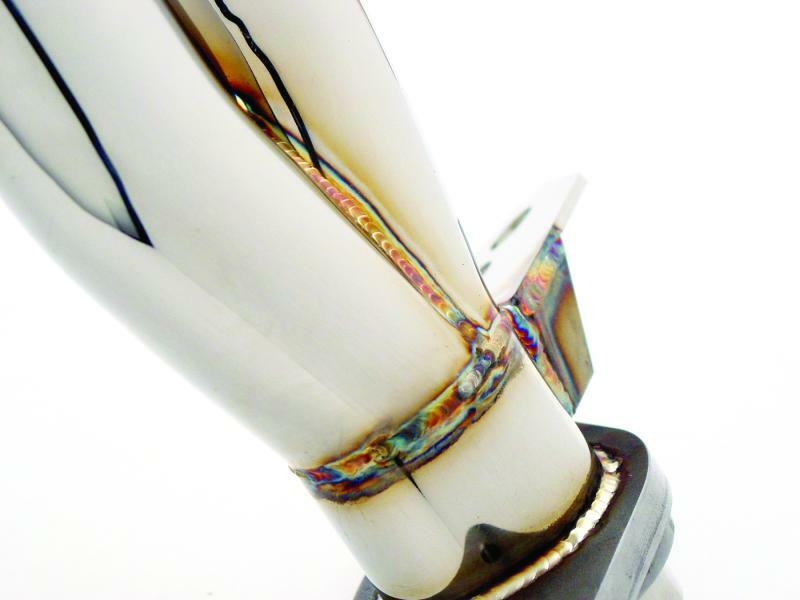 Our flanges are CNC machined, we machine-grind the flange mating surface to ensure a leak-free seal and use a robotic welder to attach the flange to the header pipes. 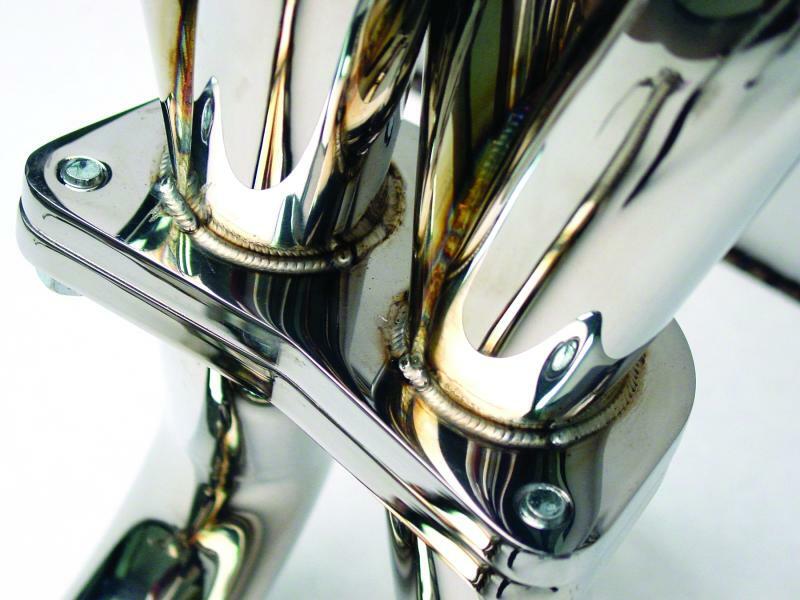 Our state-of-the-art manufacturing process ensures superior quality and a perfect fit with every header system we make. 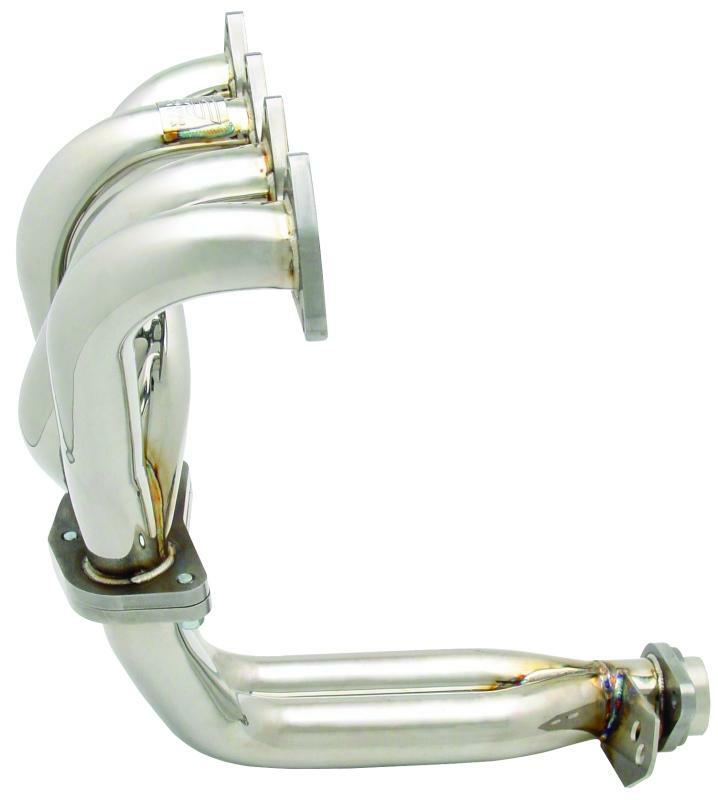 DC Sports Stainless headers are 304-stainless steel and available is a High Polished mirror-like luster or a Brushed finish that compliments any engine bay. DC Sports 4-into-1 header systems are dyno tested to outperform all comparable header systems on the market. Extensive research and development goes into each system to ensure the best performance for your vehicle. CAD-rendered, race-inspired 4-into-1 design emphasizes top-end power for road racing applications. DC Sports 4-2-1 one-piece header systems deliver incredible low- to mid-range power gains, while improving ground clearance and reducing weight by eliminating the middle flanges. 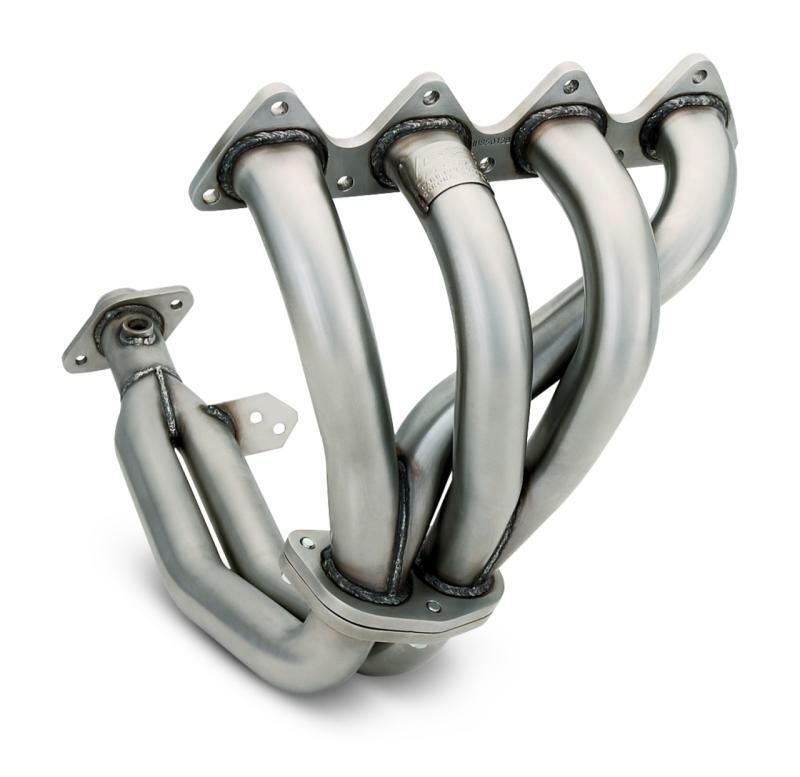 Our 4-2-1 one-piece headers are much lighter than stock systems and are on average two-pounds lighter than our two-piece systems. We dyno test them against the competition, and spend the extra time in R&D to ensure the best fitment for your vehicle. CAD-rendered, drag-inspired 4-2-1 design emphasizes low and mid-range power for street/strip applications. DC Sports 4-2-1 two-piece header systems deliver the same performance as our one-piece systems in a two piece design that eases installation. Our 4-2-1 two-piece header was rated “Best of the Test” in peak power, peak torque and average power gain by Sport Compact Car magazine. All of our 4-2-1 two-piece headers are dyno tuned and tested against the competition to outperform all comparable header systems. 4-2-1 design emphasizes low and mid-range power for street/strip applications. 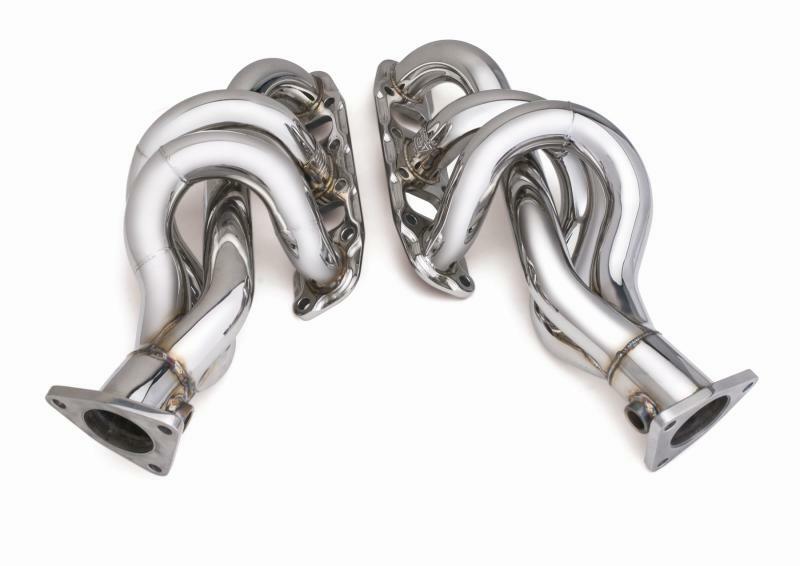 The increase of V6 applications in the sport compact market provided an opportunity to design V-engine headers, and we responded with our 3-into-1 header designs. You will not find a 3-into-1 header system that fits as perfectly or performs as well as DC Sports’ offerings. We dyno test them to ensure they outperform all comparable header systems on the market.